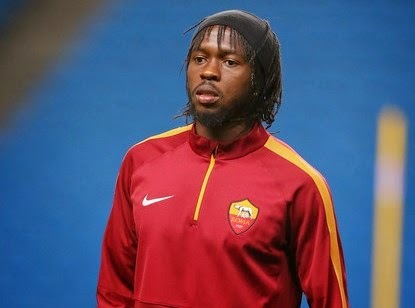 AS Roma winger Gervinho has taken a swipe at Arsenal boss Arsene Wenger. The Ivory Coast international joined the Gunners in 2011 in a £10.5m deal but failed to deliver over the two seasons he spent there, only scoring nine league goals. “Wenger never had faith in me,” he told The Sun. “Garcia does not differentiate between those who play and those who don’t. For a player that is important. “He doesn’t speak more to you because you play and less with me because I don’t. “For him there aren’t only 11 players; there are 25 players. Gervinho added that he doesn’t consider his time at Arsenal as a “failure”. “I dreamed of playing for them, I loved them since I was a child. I don’t detest Arsenal because of the way Wenger treated me. “My frustration is I quit Arsenal too soon. I left a club I loved without really showing how good I was. I am happy I went there and was able to work with Wenger.